My annual pilgrimage starts tomorrow and I could not be more excited. 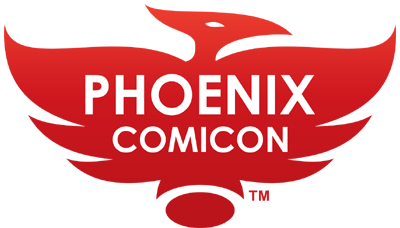 Phoenix Comicon starts Thursday, May 25, and runs through Sunday, May 28 with LOTS of cool panels, great guests, fun cosplay, and tons (and tons and tons) of wallet-destroying merch to be had. If you can make it, HIT ME UP! Holler at me on Twitter and we’ll meet up for a water (gotta stay hydrated, it’s freaking HOT in Phoenix) or something. If you can’t, you can still catch ALL the pictures, videos, and commentary in two ways – more after the jump. Hey everyone! We’re not going to be recording a show tonight (Wednesday, August 10). Christina has an RL obligation and I’m going to take the time to kill some demons and save the planet-that-shall-not-be-named get some much needed rest. Have a great week!